Our Mission is to work to preserve and restore the wild landscapes of the Middle Deschutes and Lower Crooked Rivers and Lower Whychus Creek through stewardship, outreach and education. Central Oregon residents how lucky we are to live near the Deschutes Canyon Area - an incredibly scenic landscape that offers recreational opportunities and irreplaceable cultural resources. Through stewardship projects, Friends and Neighbors of the Deschutes Canyon Area (FANs) works to remove trash and invasive weeds in the Deschutes Canyon Area. We monitor and report vandalism to local Bureau of Land Management and National Grassland offices. We plant native plants to restore degraded habitat along trails and other heavily impacted areas . We are starting an Adopt-A-Trail program as a part of this effort to make sure that area trails are clean and safe, providing hikers an outstanding experience. 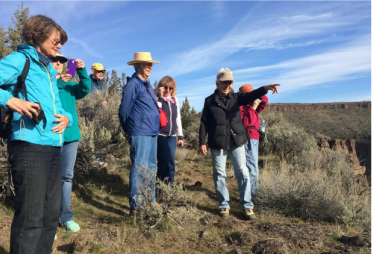 FANs outreach and education share the beauty and history of the Deschutes Canyon Area with others. We offer hikes so people can get out and enjoy these public lands firsthand. We encourage people to bring binoculars and cameras and questions. There's a lot to see! FANs hosts educational workshops, such as Native Plant Identification and Beginning Fly Fishing on the Deschutes River. Our Winter Lecture Series invites expert speakers to share their knowledge about local geology, wildlife, and history. 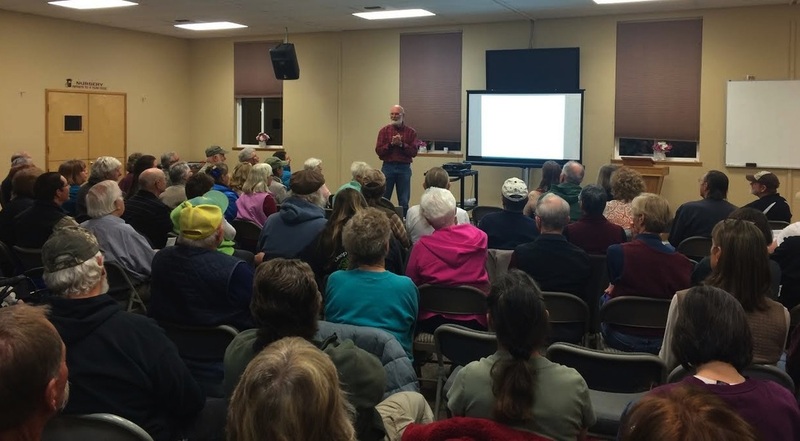 There's so much to learn about and appreciate in the Deschutes Canyon Area, and we invite you to participate in any of our upcoming events. Frank Isaacs shared his extensive knowledge of Oregon's eagles. FANs Board Member Mona Steinberg led a hike above the Crooked River.